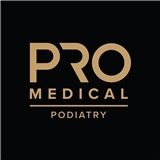 PRO Medical Podiatry (Bellevue) - Book Appointment Online! Activity, aging and genetics can all lead to foot, joint and leg issues. These problems can linger or worsen over time, robbing you of your daily routine and the activities you enjoy. Our specialized podiatry care is available to everyone. Our specialists provide treatment to help individuals heal from many conditions, including: heel pain, shin splints, Achilles tendonitis, ankle sprains, stress fractures, exercise-induced pain, ingrown and fungal toe nails, Morton's Neuroma and plantar warts. Additionally, our services include: diagnostic ultrasound, Extracorporeal Shockwave Therapy, Laser toenail fungus treatment, joint fluid therapy, F-Scan and gait analysis, custom molded orthotics, shoe evaluation and foot surgery.